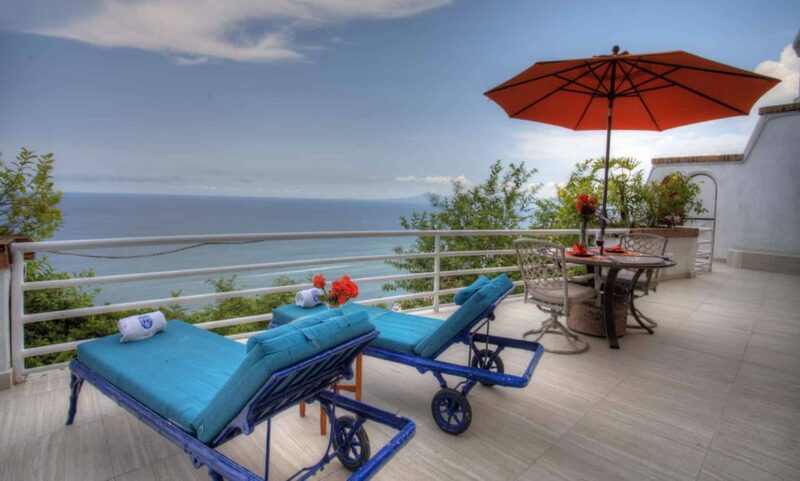 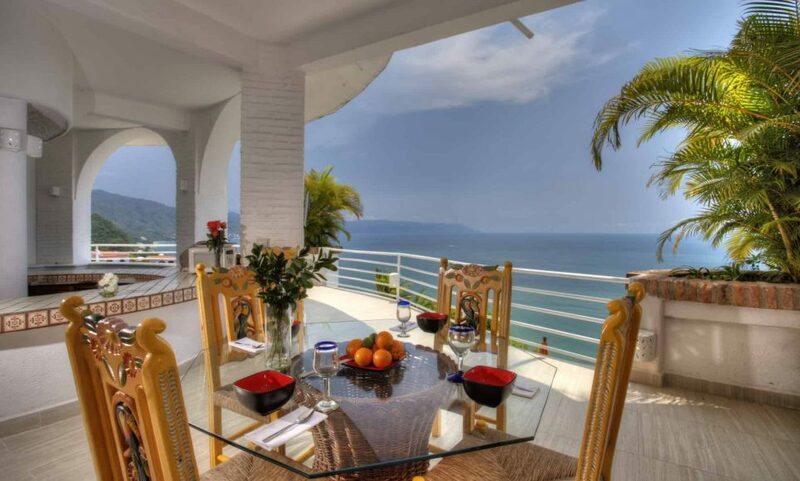 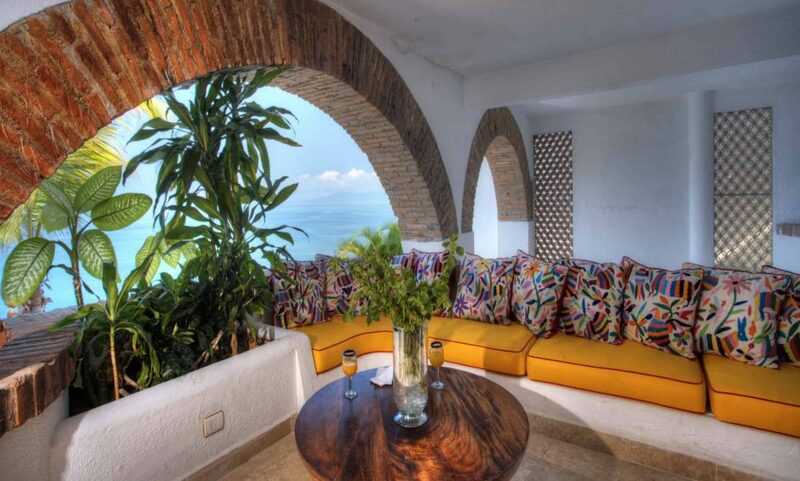 Nestled into Conchas Chinas, Vallarta's most exclusive hillside neighborhood, the eight-bedroom Villa Azul enchants visitors with its stunning panoramic views that overlook the fabulous Banderas Bay with its daily amazing sunsets upon the blue Pacific. 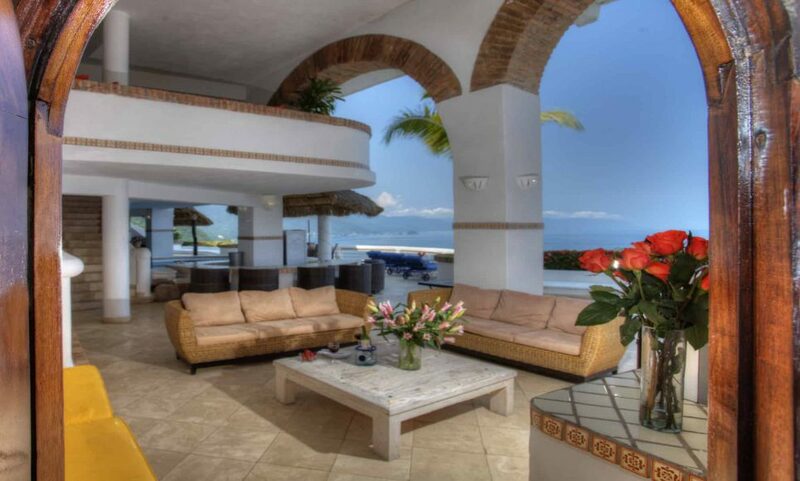 The villa's ingenious five-level design encourages groups to relish the sunshine together, enjoy the three freeform swimming pools each featuring its own swim-up bar, or retreat to lavish bedrooms that inspire tropical wistfulness with flowing linens and breezy palms each highlighted by a balcony gazing down upon the sapphire seaside. 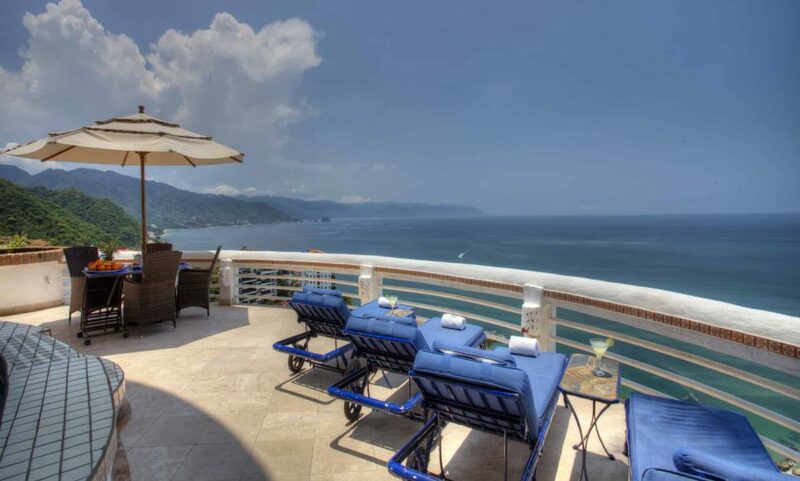 The three distinct living and dining areas allow for private moments, while each ample terrace boasts space for group events, including Mexican fiestas for the family, cocktail parties for any group of friends or a magical wedding celebration! 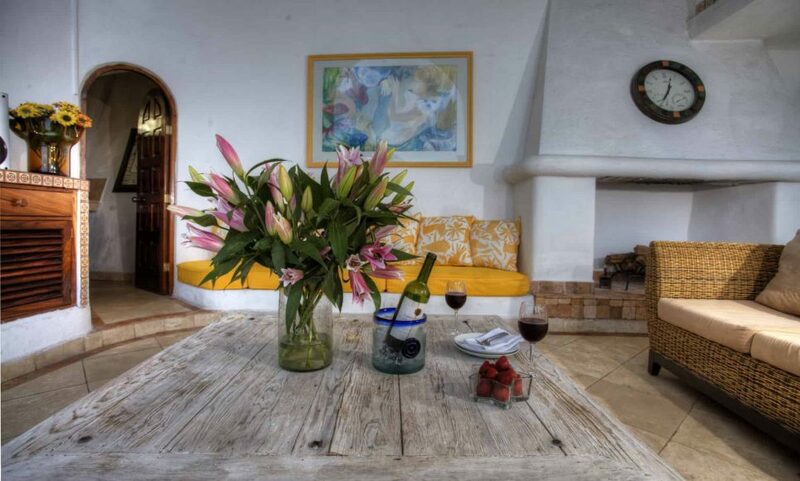 An attentive staff comprised of a great Chef, houseman and the lovely maid Angie join forces at Villa Azul to create for every guest an unforgettable time of relaxation, comfort, luxury, and fun. 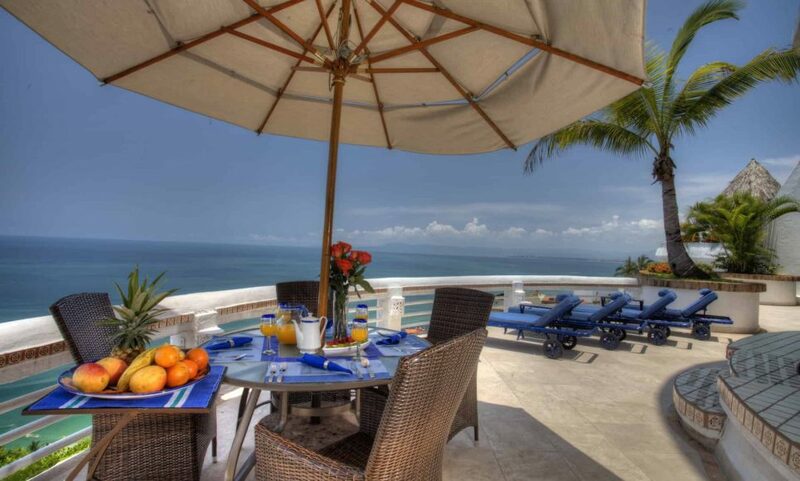 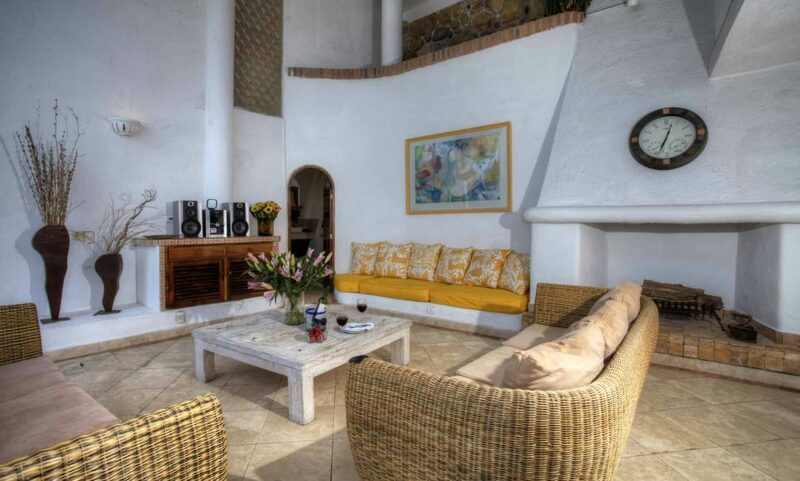 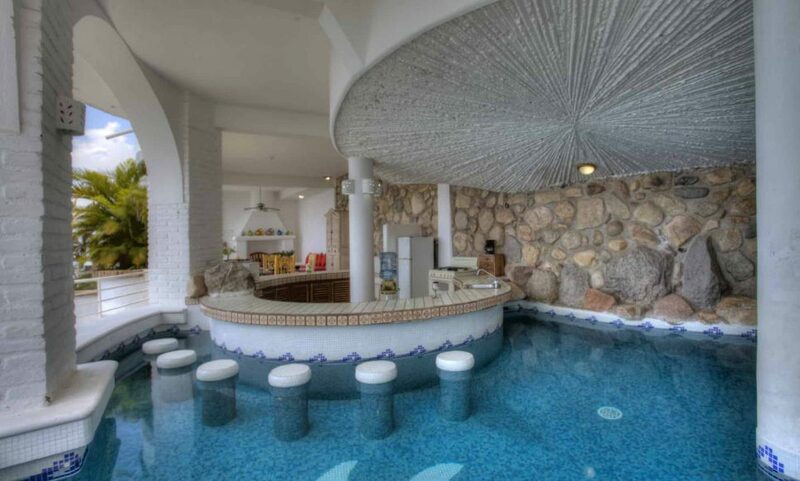 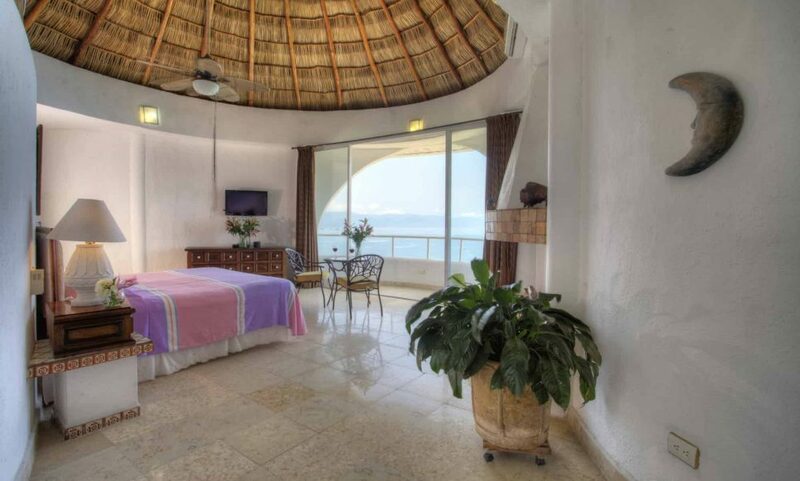 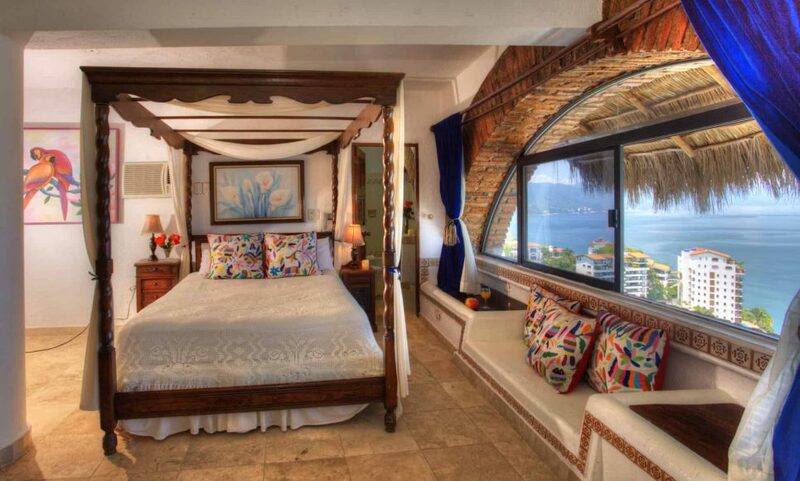 The entire Villa Azul consists of 5 levels comprising 3 sections. 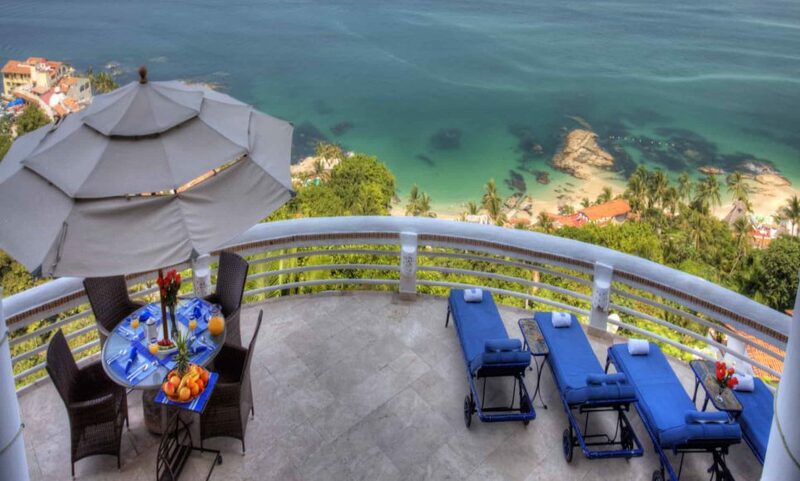 Section 1: Villa Azul - The award-winning main house on three levels consists of 4 bedrooms, 6 bathrooms, a fabulous pool with a swim up bar and the most incredible terrace overlooking "the world". 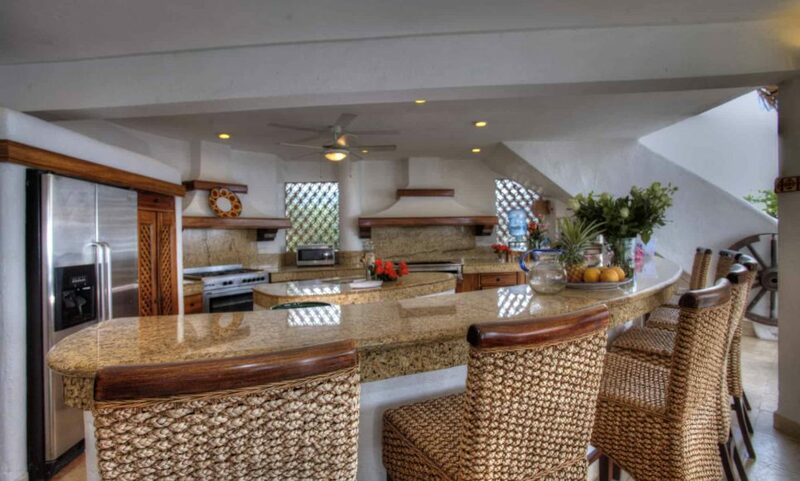 The professional kitchen is, of course, the domain of renowned Chef Arturo. 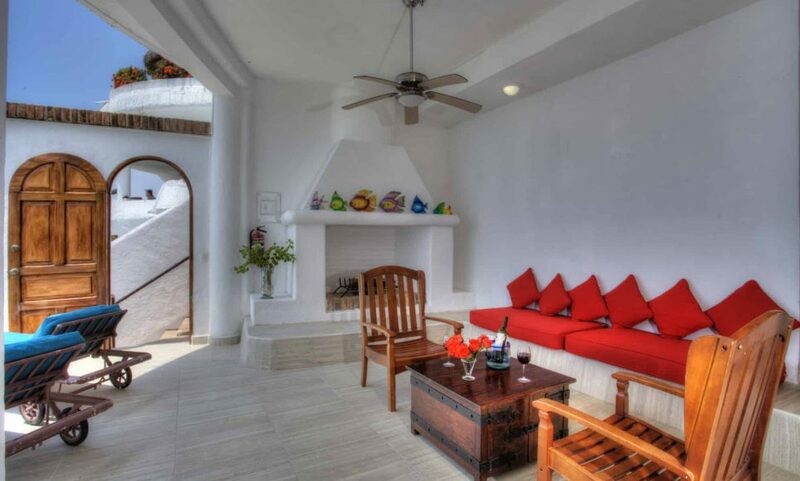 Section 2: Villa Azul Cielo consists of 2 bedrooms and 2 bathrooms, a fabulous pool with a swim up bar and again the open air living room with terrace and the same unbelievable view. 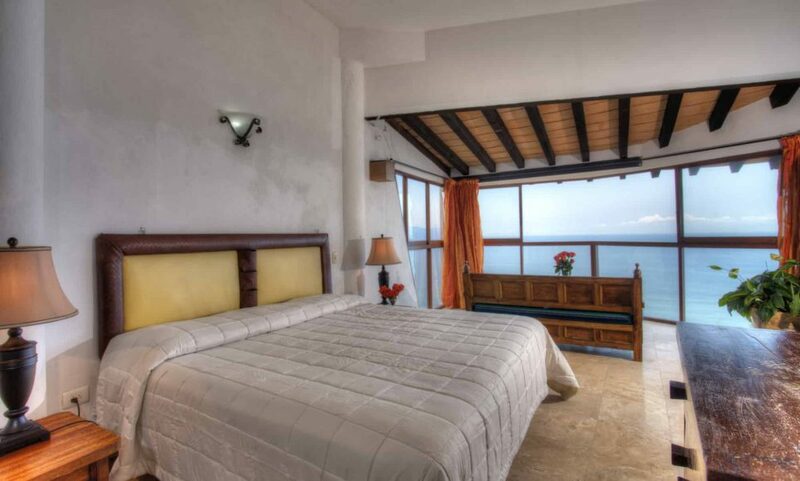 Villa Azul Cielo is connected below the main section of Villa Azul but can also be reached by a separate entrance, 39 charming steps below. 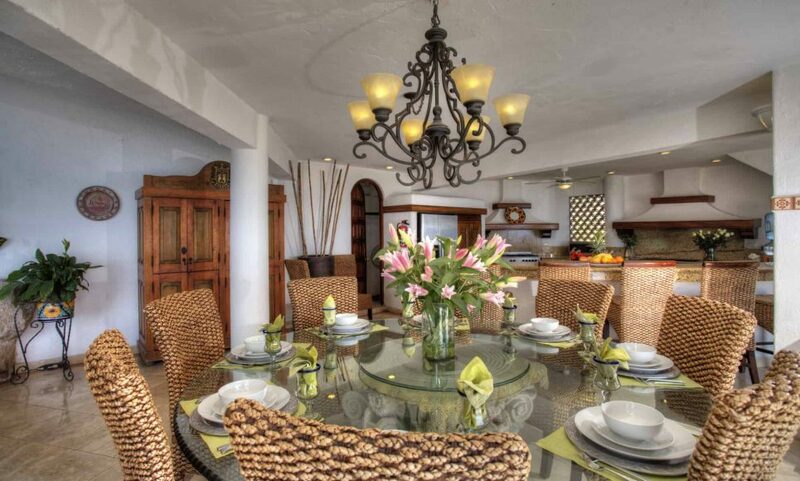 Section 3: Villa Azul Mar is located an additional 21 steps below Villa Azul Cielo with another 2 bedroom 2 bathroom, nearly identical layout, and of course another charming pool with swim up bar. 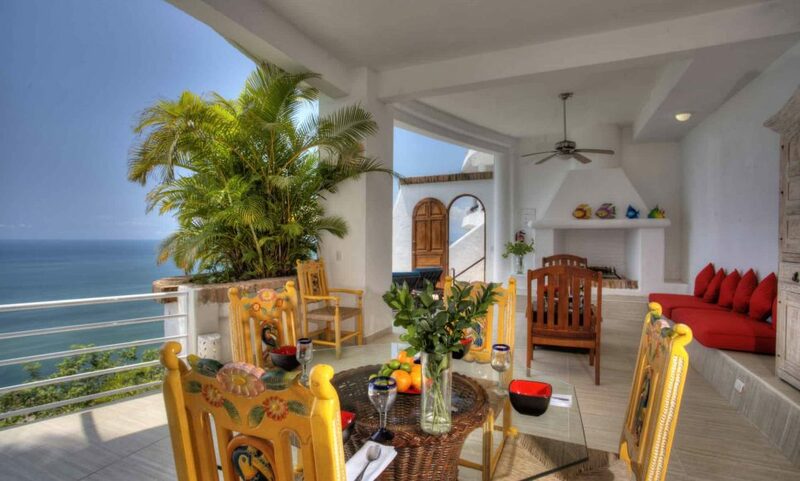 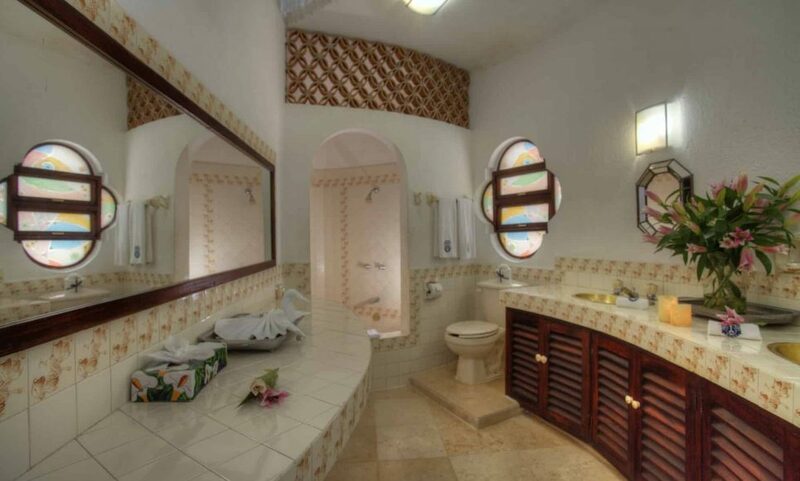 Villa Azul can be rented as one 8 bedroom 10 bathroom villa with 3 pools (all 3 sections) or each section can be rented separately. 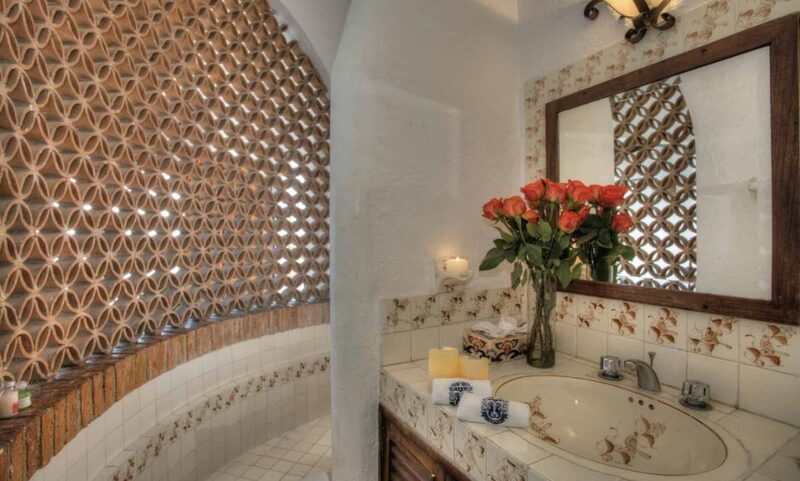 The information contained here is based upon information provided to us by third parties deemed to be reliable however this information cannot guaranteed.